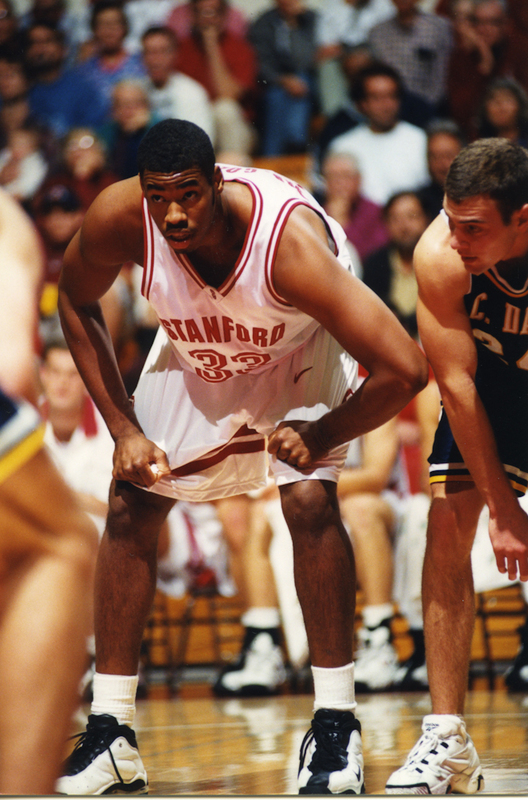 When Jason Collins ’01 announced that he was gay in a Sports Illustrated cover story earlier this year, there was an immediate positive response from the Stanford community. Athletic Director Bernard Muir released a statement applauding “the decision to be true.” Former teammate Mark Madsen ’00 MBA ’12 called Collins “one of the greatest people you will ever meet in your life.” And across campus, students expressed pride that it was a Stanford man who took the steps to become the first openly gay active male athlete in a major U.S. professional sport. But 12 years ago, when Collins was leading the Cardinal basketball squad to the Elite 8, the campus atmosphere was different. Other Stanford alumni — most prominently Rachel Maddow ’94 — have expressed frustration and disappointment with the way LGBTQ students were treated while they were on the Farm. These problems were particularly pronounced within the athletic community. Cyd Zeigler ’95, co-founder of the gay-sports website Outsports.com, said that after he came out, his fraternity brothers from the varsity wrestling team refused to shake his hand. In 1994, the discrimination reached a head when a group of Stanford athletes were arrested for vandalizing George Segal’s “Gay Liberation” sculpture, which commemorates the Stonewall Rebellion. Because Collins didn’t come out until long after college, he didn’t have to face these issues while at Stanford. He refers to his basketball teammates as “brothers” and counts many Stanford alumni among his closest friends. In fact, Collins said that some of the first people he came out to outside of his family were those he met at Stanford. However, Collins said that LGBTQ presence on campus was minimal during his career — when asked, Collins could not recall a single other LGBTQ athlete. He added that he never considered coming out during college — although he thinks his friends would have been supportive, he said he personally wasn’t ready to make the announcement. Now that he has come out, Collins’ life path has changed. Outside of a few internships and seminars through the Stanford Business School and the NBA Players Association, Collins said he hadn’t spent much time thinking about his post-NBA career before his announcement. His announcement gave him more focus — since April, Collins has been caught up in a whirlwind of speeches and events, such as Boston’s gay pride parade, where he marched alongside former Stanford roommate and current Massachusetts congressman Joseph Kennedy III ’03, and the Los Angeles Dodgers’ LGBT night, where he threw out the first pitch. “I know that going forward, I want to keep the conversation going, as far as making it easier for the next person to go through the door, “Collins said. But although Collins has been busy in his role as an activist, he is still actively seeking an NBA job. NBA preseason camps opened on Oct. 1, and despite swirling rumors of interest, no team has signed Collins yet. When asked if he thinks the impact of his announcement would be diminished if he never again pulls on an NBA jersey, Collins answered with an emphatic no.